Is one better than the other? Nope! Surprised? I was too. As it turns out, there is no scientific backing to prove that we are metabolically better off eating 6 smaller meals a day compared to 3 meals. Many people believe by eating more frequently we would somehow increase our metabolic rate. Not true. Or at least, not proven. It all comes down to personal preference and what you’re eating in those 3 to 6 meals. Eating healthy, quality foods should be your main focus, along with staying within your caloric goals. Cheat Meal or Cheat Day? I am so unbelievably happy that I went with Sarah as my personal trainer! She is amazing in all aspects, she very knowledgeable regarding fitness, she personalizes each fitness calendar, gives you a personalized meal plan with a grocery list, and above all she is very motivating! She is so good at helping you through the hard parts of loosing weight or gaining muscle. I could not recommend her enough. She is not only a PERFECT personal trainer but an amazing friend. - Shayla Z.
Sarah has been working with my daughter for a few weeks now. My daughter has Autism and Sarah is wonderful with her. She has motivated her (difficult to do!) to exercise everyday and has changed her eating habits for the better. I am so happy that I've hired Sarah to work with my family. :) - Kristen M.
Sarah was by far the best trainer I have ever had. Her online and in-person training sessions were exactly what I needed. A real person who understands the reality of a working professional with kids and a busy like. She motivated me, she didn't push me. She made adjustments to my workout and diet plan as we learned more about what my body needed and could handle. I lost 25 pounds in 2 months and I did it with the time I had and without starving myself. 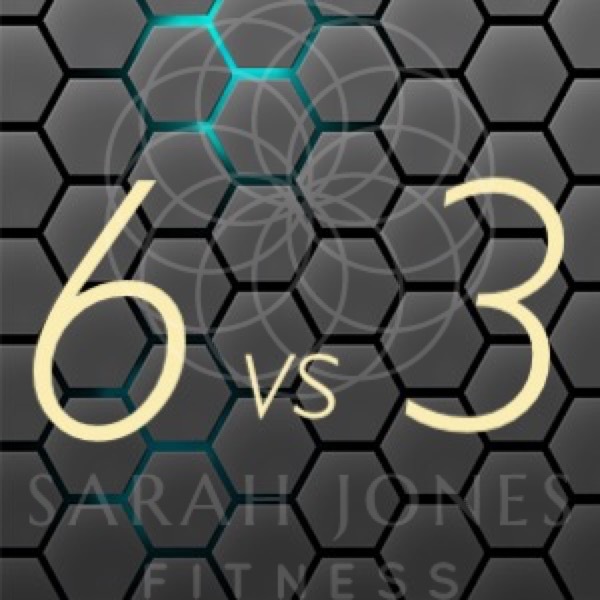 I would highly recommend Sarah Jones Fitness to anyone who wants to take control of their health and body in the real world. Thank you Sarah! - Rob C.
I am 88 years old and thought "fitness" was long gone for me. But with Sarah's support I was able to hold my great granddaughter without help for the first time. That's a quality of life you can't put a price on. Thank you to Sarah, my green-eyes angel. - Orpheus J.